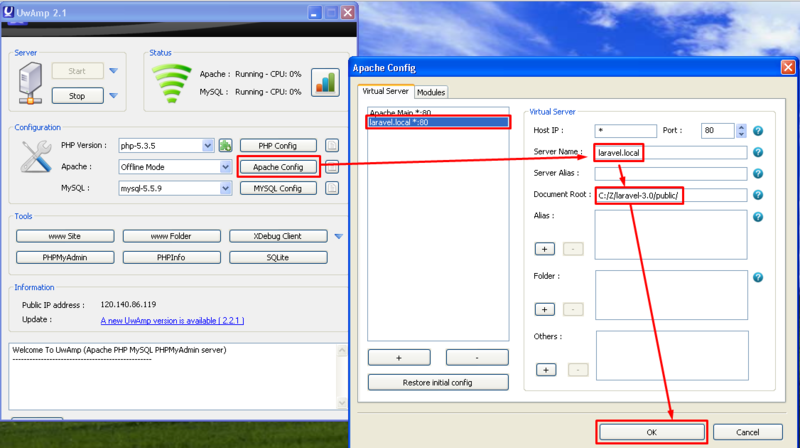 3) We will use UwAmp for running Apache and MySQL server. If you haven't got UwAmp, download the server from here. 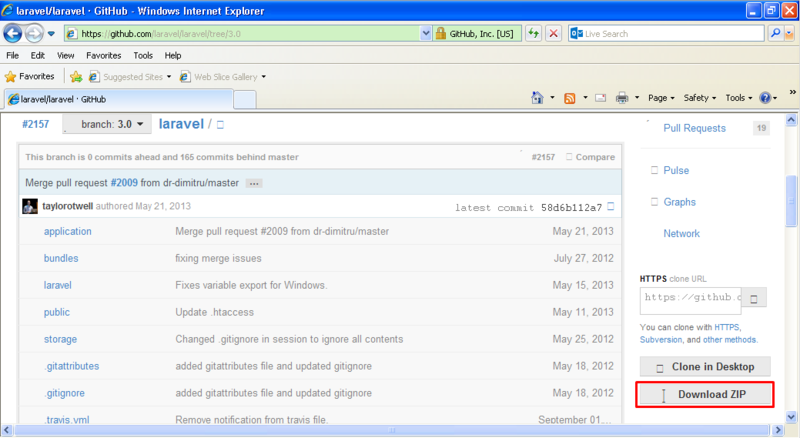 Note: if Windows doesn't allow you to save, reopen Notepad++ as an Admin user. 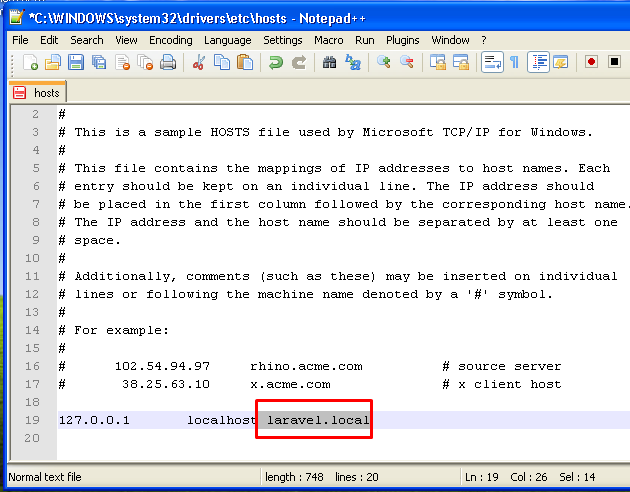 5) Create Virtual Host in UwAmp. d) Click OK. The item laravel.local *:80 will appear in Virtual Server list. 2) Edit the connection setting. 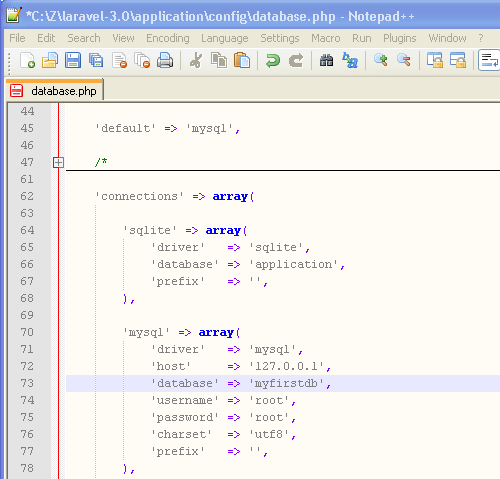 3) Access MySql database via phpmyadmin. Create new database myfirstdb. By default, the username/password is root/root. 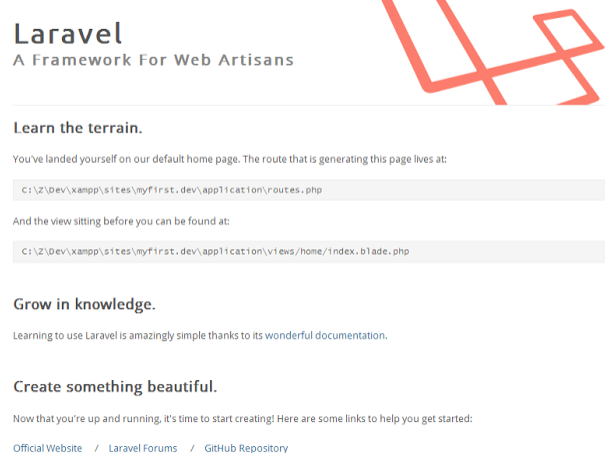 Proceed to http://codehappy.daylerees.com/project-structure to explore more on Laravel Framework. Thanks!! for such wonderful article about Data Connection within Laravel Development. Actually it is nice post!! As a web Developer at Kunsh Technologies - Offshore Software Development Company I believe that Laravel PHP Framwork is best suits for advance Web and Mobile Application Development till date. Nemco digital is a Laravel application Development Company in Sydney. Offers Laravel Web Application Development services. Hire Dedicated Laravel developer from Nemco. I read that Post and got it fine and informative. Please share more like that...Great Article it its really informative . Its was really valuable. Thanks a lot.